A modern-day adaptation still has a semblance of the skeletal structure of the source material. A modern-day retelling takes the essence of the source material and transposes it to a new skeletal structure. It's like a modern-day adaptation still has traces of the source's DNA, making it a direct genetic descendant of the source material. A modern-day retelling, on the other hand, is more like a reincarnation of the source material's soul into a different body. So is Noah an adaptation? Or is it a retelling? "Now you got me confused, Gladiator." In my opinion, it has elements of both. On the other hand, it appears to be a retelling because it doesn't appear to be totally biblical. The costumes, for one, are not the robes and sandals we are familiar with. They appear to have science-fiction influences, which was intentional, as Aronofsky wanted the film's setting to be ambiguous, something that could have taken place in the distant past, in the far future, or a long time ago in a galaxy far, far away. 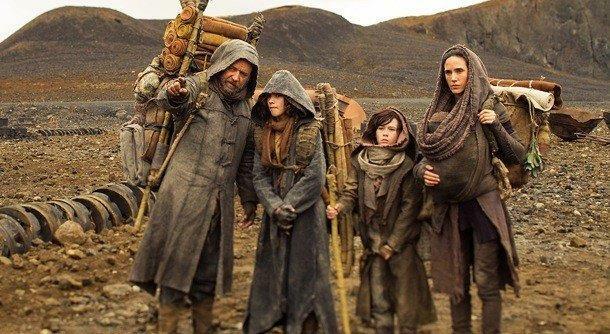 Noah and family, seen here modeling for The North Face's Deluge Collection. 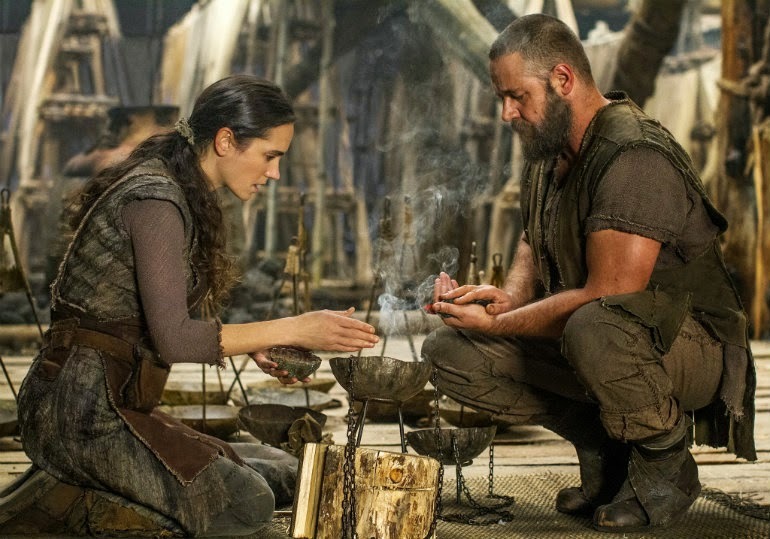 As an adaptation, Noah actually breaks new ground, particularly with biblical adaptation, or adapting from biblical source material. Aronofsky and Handel take a page from comic book movies in what I would like to call "adapting the universe of the source material". Films adapted from comic books, particularly the modern ones from Marvel and DC, do not just adapt one but multiple storylines, taking a bit from this and that narrative arc, combining it with this and that character arc. As a result, comic book geeks fans actually have a field day identifying which part was taken from what storyline. Like geeks fans love to do. 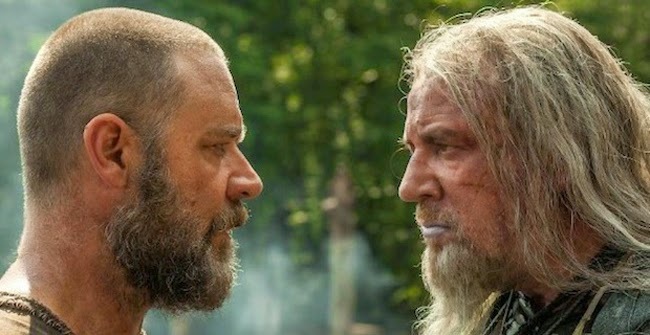 With Noah, the screenwriters employed a similar tactic by not only adapting the biblical tale of Noah and the great flood as found in the Book of Genesis, but by adapting material taken from the entire Old Testament universe. Thus we have Noah about to plunge the knife into his grandchildren's soft, baby bodies, adapted from the story of Abraham and Isaac. We also have the fallen angels, or those computer-animated rock giants that move like stop-motion figures, taken from various biblical and extra-biblical sources. Then we have Tubal-cain, played by the awesome Ray Winstone. And of course we have Methuselah, the oldest human being at that point, played by Sir Anthony Hopkins, or Hollywood's go-to guy for roles of wise old men. 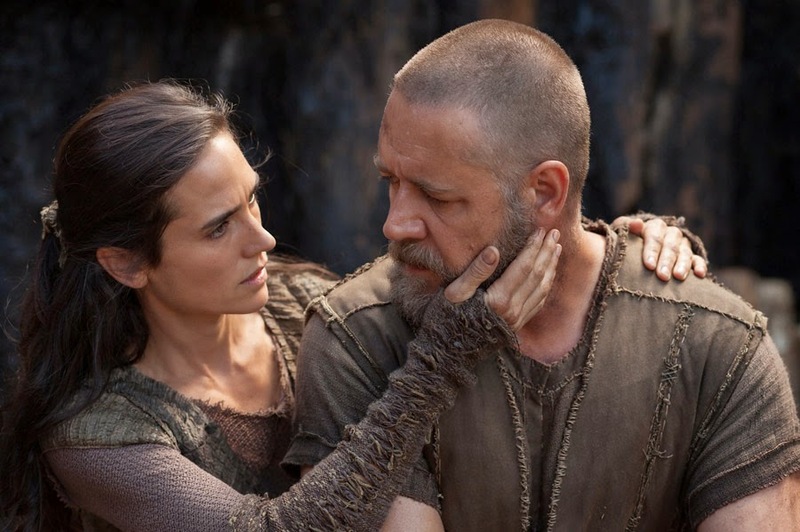 So will Aronofsky and Handel's "universe" adaptation become the Hollywood standard for biblical films? I guess we can only wait until Ridley Scott's Exodus: Gods and Kings comes out late this year. "All right, let's put those animals to sleep by making them inhale cannabis smoke."